Sam Wanamaker has taken a place in the history of London as the American actor and director who was instrumental in the building of a replica of the Globe Theatre in London. 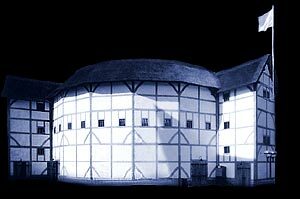 In 1970 Sam Wanamaker established the "Globe Playhouse Trust" as an educational charity, in order to raise funds to build a replica of the original Elizabethan Globe theatre. Interesting Facts and information about the Sam Wanamaker. Additional details, facts and information about the Globe Theatre can be accessed via the Globe Theatre Sitemap.